Doctors at the Monash Medical Centre heart unit, known as MonashHeart, saved the lives of 11 elderly women who were suffering from aortic stenosis, the degrading and narrowing of the main heart valve. 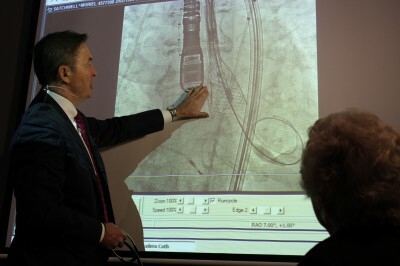 A team of cardiologists and surgeons, led by MonashHeart director Professor Ian Meredith, inserted a replacement heart valve, on the end of a wire, through a small hole in the groin of the women, who were too frail to undergo the invasive open-heart surgery often given to younger patients with the condition. Dubbed a ‘lotus valve’, the valve opens up like a flower once inside the heart, and can be easily repositioned. The trial, which reported a 100 per cent success rate, promises to help save the lives of senior patients around the world. Professor Meredith, from the Department of Medicine at Monash University, said the prognosis for elderly aortic stenosis patients was usually about the same as people with advanced forms of cancer. “When you have severe aortic valve narrowing and you become breathless as a consequence of that, more than half the people won’t survive 12 months,” Professor Meredith said. Professor Meredith said he would now lead a wider, international trial of the lotus heart valve device. “This will have a significant impact on patients all around the world because this is a very common problem in the elderly,” Professor Meredith said. 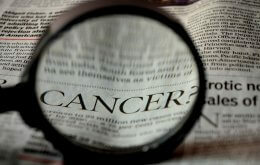 Sixteen facilities in four countries will take part in the new trial. The Monash Medical Centre is part the Department of Medicine at Monash University. Established in 2007, MonashHeart is an amalgamation of the former Departments of Cardiology of Monash Medical Centre, Clayton and Dandenong Hospital.